here comes a new appointment in our blog dedicated at Felfil and at the maker’s world. 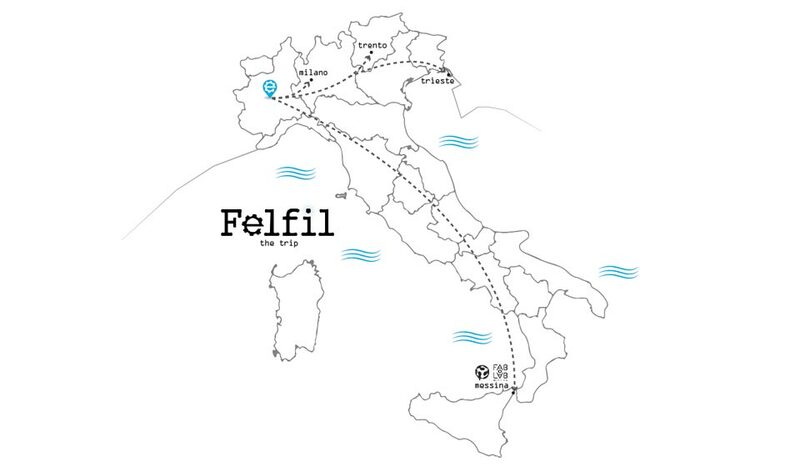 As you surely know, having read the last article (if you missed it here’s the link) Felfil started few months ago a tour of Italy that will take him to visit Fablabs and laboratories across all the peninsula. His last stage has just ended with the return to Milan, where he was a guest of Friends Hubout Makers Lab 2.0 is not just a laboratory open to everyone, but it is a beautiful reality created to share time, experiences and skills. If you are near Milan we can not advise you to visit it, if only to understand 100% the philosophy maker of “learning by doing”. Under the “Madonnina” Felfil was squeezed a bit as it shoud be, and the same guys of Hubout made us the gift to publish on their youtube channel a couple of videos with our extruder in operation. Videos which you can find at this link. But now it’s time to look ahead to the next destination. Felfil, indeed, is already back in its box ready to leave again, now is the turn of the Fablab Messina (http://www.fablabmessina.it/) where it will be the guest of honor of the Open Day dedicated to the plastic recycling. It should stay here for a couple of weeks, returning in time for another great event. The 16,17 and 18 October, indeed, we will be in Rome for the Maker Faire! An event that last year affracted more than 90 thousand visitors and saw our Felfil take home the “maker of merit” prize (…be quiet, we didn’t know who he was until we have not tried his name on google remaining speechless). But it still early to talk about all the news that we are going to bring to the fair in Rome. So, stay tuned here on the blog or via our Facebook page and Twitter. And if you want to share as much as possible with friends. It’s a way to support us with absolutely no commitment. An open hug to all.